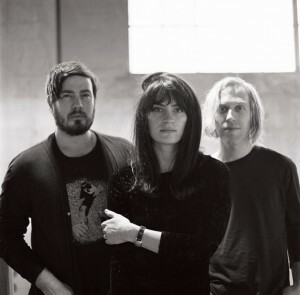 Among the great stable of bands on Captured Tracks is Blouse, who changed things up on the release of their second album, Imperium. They got rid of the synthesizers and other electronica elements, crafting a more powerful sound. I’ve always enjoyed watching their sets, and I look forward to seeing the live version of these newer tunes when they make it down to SXSW. Here’s how they answered our interview questions while on the road to Austin. ATH: There was a lot of hubbub last year concerning corporate sponsors and pay to play and what not at SXSW. As a band, what’s your reason for coming to pay at the festival? What do you hope to get out of it? 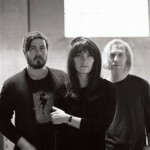 Blouse: We’re supporting the Dum Dum Girls on a US tour, and the routing included SXSW. I don’t think you can approach this festival hoping to get something specific out of it. We just want to play a few shows and have fun, see some old friends, wear shorts. Blouse: We’re going to throw hundred dollar bills into the audience. J/K! I think we’ll just treat it like any other show and play our favorite songs. Blouse: Tequila and sushi. But not together, that sounds kind of gross. We’ll probably eat mexican food and drink fancy margaritas. Blouse: I just tried to look at the list of bands and it’s overwhelming. 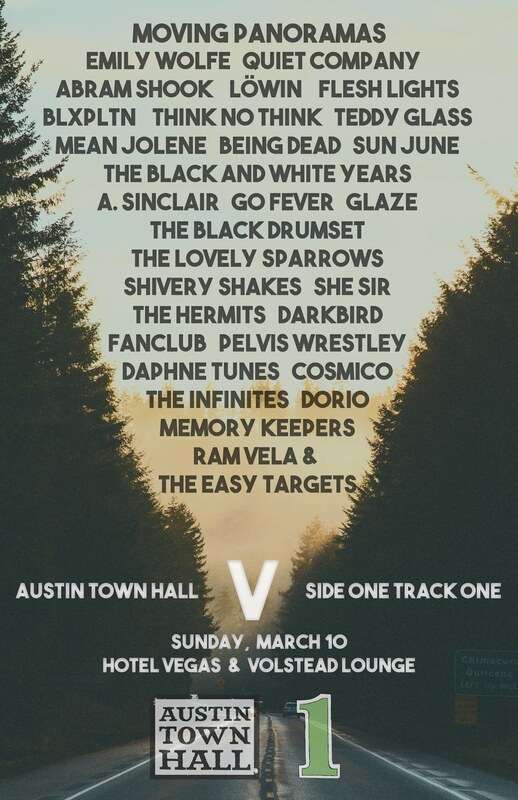 I don’t know who most of them are, but I did recognize our friends No Joy, and it would be fun to play a show with them. I love Laura Lloyd! ATH: Let’s say your band has been booked an official showcase at a pop up venue somewhere in the middle of 6th street. The lineup features thrash metal, hip-hop, spoken word, and you. The sound is horrible, the lineup is not your style, and the crowd seems angry at the world. How would your band deal with such a situation? Blouse: We would close our eyes and go to a better place, and then start a song. As a performer, you need the ability to insulate yourself from your surroundings sometimes. It’s a really important skill. If you let everything in, then you can get stuck inside a really dangerous feedback loop. Blouse: Mariah. It’s this Japanese music from the 80s that we’ve been kind of obsessing over. Blouse: Ah, that’s a tough one. I think that Spotify has made us really lazy about music. The format has become so cheap and so available that it’s hard to listen to an entire record, or even a whole song. It’s not a treasure anymore. How can something be a treasure if you can’t even own it? Artists get paid practically nothing, it’s almost insulting. If listening to music is going to be almost free, it forces artists to do more commercial work. I don’t want to hate on modernity, but I do think this is a dangerous trajectory. But I fear it’s one of those things that you just can’t take back. Like the internet or smartphones. They’re here to stay. That said, I’m happy that our music is reaching more people. I’m glad they can enjoy it easily. At the end of the day, it’s all I’ve ever wanted out of music anyway. ATH: Day parties have replaced showcases for music discovery? Is the conference really completely upside-down? Blouse: I think most people don’t want to pay for a wristband when they can see the same music at parties. I had a wristband last time we were at sxsw and I didn’t use it. ATH: Flatstock is a crowd favorite. Have you ever been to browse? Find a print to buy? Find a print from one of your shows you didn’t know existing? Blouse: I didn’t know what Flatstock was until just now, so no. It looks great though. I think the concert poster is a beautiful format, and I’m happy to see it’s being celebrated and preserved.